Home Tags Articles tagged with "HOA"
Tortosa Trails is planned for the northeast corner of the Tortosa subdivision. The Maricopa Planning and Zoning Commission approved a one-year extension of the preliminary plat of Tortosa Trails, a planned area development on the northeast section of Tortosa. 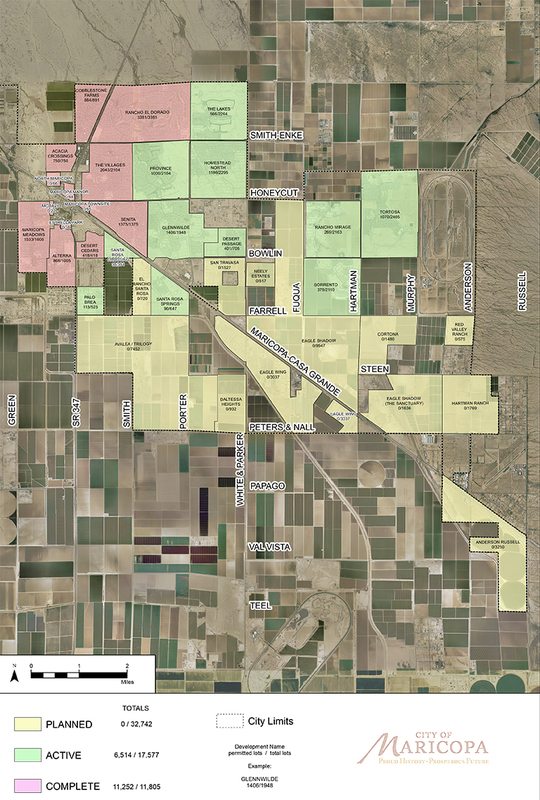 Tortosa Trails is a 287-acre platted subdivision which will add 1,052 single-family homes to Maricopa’s eastern edge, near the Volkswagen Test Track. It neighbors the Gila River Reservation to the north. The Commission approved the measure 6-1 as the developer, Communities Southwest of Scottsdale, asked for extra time to complete its plats. Their two-year plat planning phase was about to expire. She said it took longer than expected to gather comments on the plan. Construction costs rose about 40 percent as they were going through planning stages. She said other developers and builders are experiencing the same thing, higher costs and a shortage of labor. She said that market wasn’t there last year, but the developers are hopeful it is there this year. In all, 60 of the development’s 287 acres will be reserved as open space with an average of 3.62 dwellings planned per acre. Four lot sizes are proposed, 60×120, 50×120, 45×120 and 55×120 feet. 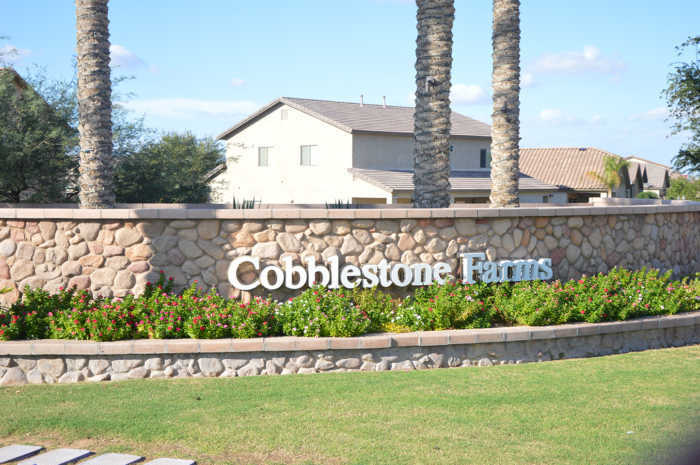 Maricopa features subdivisions with an array of amenities including community pools and parks. Many homeowners’ associations (HOA) are based in the Valley and a few have local offices. Each HOA has a dedicated community manager. Contact information for each of them can be found below.